The event was hosted by me and saw MPs and Peers from around the UK come and pledge their support. Key guests included the Chairman of the Commons Defence Select Committee, the Shadow Welsh Secretary and Shadow Defence Secretary. In all there were over 80 attendees that heard keynote speeches from ex-military dog handlers and John Ward. It was a great honour to host the launch of a new national charity to secure the construction of a memorial to all military working dogs. The mausoleum will be dedicated to all three component parts of the Armed Forces – Airforce, Army and Navy – but it will also reflect the work of mascots as they bring together the regiments they represent. I was pleased to see so many MPs and Peers attend and pledge their support to such an important memorial. 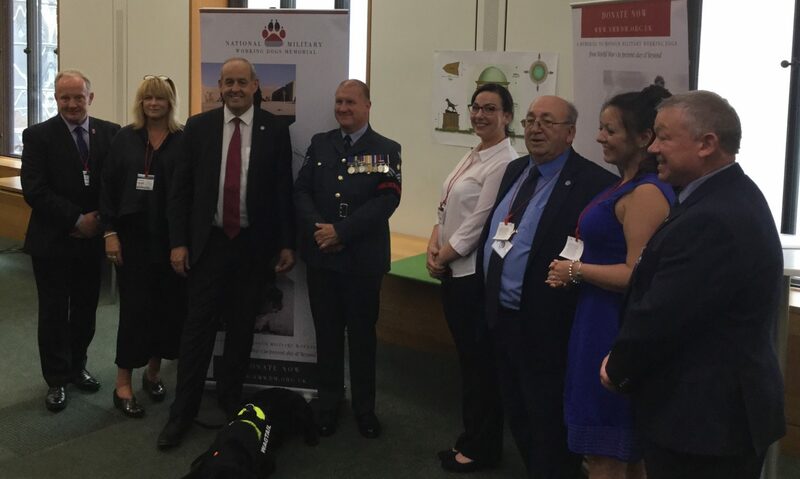 Having the support of key Members of Parliament means that we can press forward with the charity and build a lasting memorial for these service dogs. The construction will take place in Brynford on the current Pet Cemetery site. It is a peaceful location and will be another distinctive reason for people to visit our communities. I look forward to continuing to work with the new charity and hope that we can raise the funds to complete the construction work.